Alyssa was pretty bored tonight and really wanted to stamp. She spent the night with one of her bestest friends on Saturday night and I told her it would be appropriate to send her girlfriend a thank you card. She picked up my Stampin' Up! catalog and started thumbing through it. 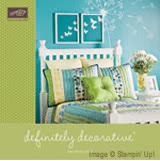 She loves the Just Jawing stamp set and loves the sample card that's in the catalog. So off to the stamping studio we went. I cut the circles with my new circle cutter and Alyssa did everything else. Only 11 more years until I can sign her up to be a demonstrator...woo hoo. She wanted to keep stamping so I pulled out one of my old make & take kits and she made her own versions of my owl card. I showed her how to use the blender pen and coloring in the owls kept her busy for a while. She did an awesome job on her cards!